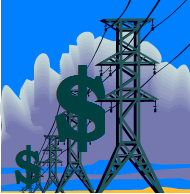 November 25, 2014 (San Diego) – For years, San Diego Gas & Electric (SDG&E) has ranked highest in the nation—or nearly so--for the most expensive utility rates in America. The annual survey is conducted by Jacksonville Electric Authority. But now SDG&E has stopped providing its data to Jacksonville in 2013, after the company received bad publicity for its high rates. So San Diegans no longer know where our city ranks in utility rates.